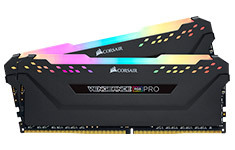 Corsair Vengeance RGB Pro CMW16GX4M2C3200C16 16GB (2x8GB) 3200MHz DDR4, 16-18-18-36, 1.35v, XMP 2.0. 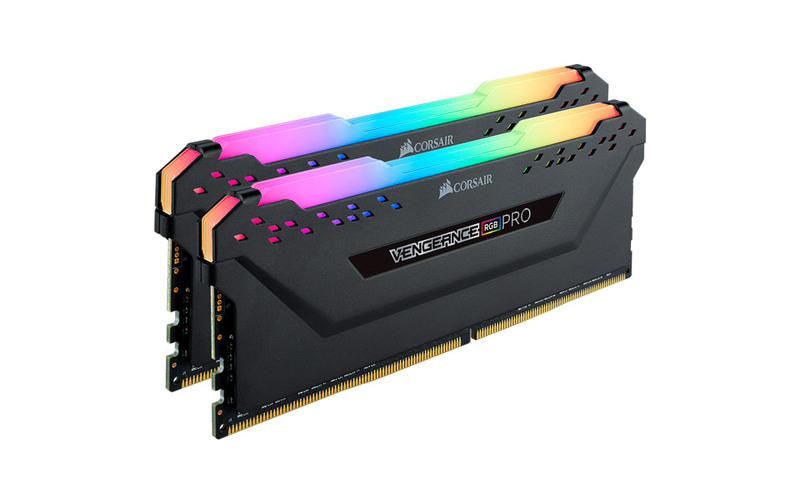 CORSAIR VENGEANCE RGB PRO Series DDR4 overclocked memory lights up your PC with mesmerising dynamic multi-zone RGB lighting, while delivering the best in DDR4 performance. Every module boasts ten bright RGB LEDs, while wire-free design makes installation simple. 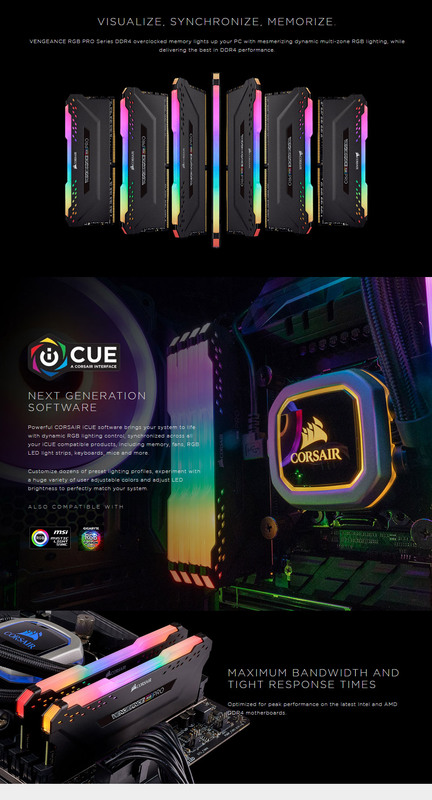 Take control with CORSAIR iCUE software and completely customise every module’s lighting to match your system, or easily synchronise lighting across all your CORSAIR products with Light LINK.